We’ve been installing retaining walls in Melbourne and its surrounding areas for several years and now we want the local residents to benefit from our experience. We built sturdy and long-lasting structures that beautifully and efficiently retain soil as well as protect the rest of your backyard and property. 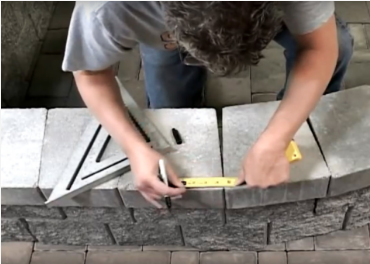 Our selection of gorgeous interlocking pavers has everything you'll need to build an amazing retaining wall that serves its purpose while enhancing the curb appeal of your home. Our experts will create a unique retaining wall design specifically based on your requirements and budget. 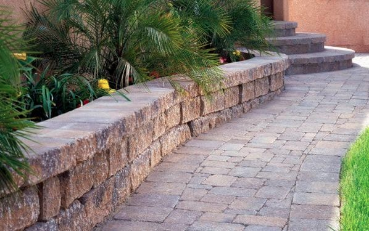 Many types of materials can be used to build retaining walls but we focus specifically on pavers. It’s our specialty and our passion. Segmental retaining walls with stone blocks are a fantastic choice, and we recommend them because they are modular and interlocking, which makes them very easy to form around obstacles and achieve specific forms. Over time, they will sustain their strength, unlike wood retaining walls that tend to lose their integrity daily and quickly after installation. We are well trained and versed in every single type of paving structure and we will make sure that your retaining wall lasts for a long time without losing any of its initial beauty. Maintenance is an additional service we can offer if you want us to take care of the installation periodically, allowing you to just enjoy your landscape without having to do the hard work yourself. We will bring large retaining wall blocks and pavers in your garden and use them to build the wall of your choice. Building a retention wall has never been so easy. We offer turnkey solutions that make your life more simple. Choose from a variety of paving stones and see all the possibilities offered to you. Classic, modern, trendy…there are plenty of options to choose from and we will give the specifications for each type of pavers so you can make an informed decision. There are also various colors and patterns associated with each paving stone: Sienna, sand, and many others, the choice is yours. If you want something truly local, we also offer the famous Natural Florida Stone. Many ideas and possibilities are available depending on your tastes and the size of the project. Over the years, we have noticed that many customers appreciate the natural stone look. 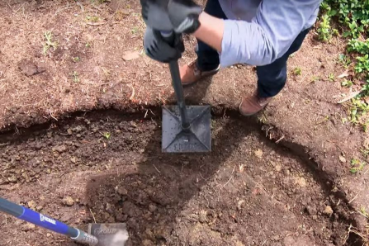 Our staff members are extremely skilled and we use only the best materials available which is why we offer an extended warranty period for all of our interlocking pavers installation. Having a nice retaining wall doesn’t mean you have to spend a lot of money. We offer competitive prices without resulting in a cheap product or a lesser quality of workmanship, in other words: we deliver the best of both worlds! ​Call us now at 321-280-9011 to talk to one of our retaining wall experts in the Melbourne area. Whether you know exactly what you want or not, we can help you make better decisions that will positively impact your next landscape project without depleting your savings.